(iOS only) - To use third-party effects via inter-app, simply select the track you want to apply your effects to, then open the "Add FX" menu. 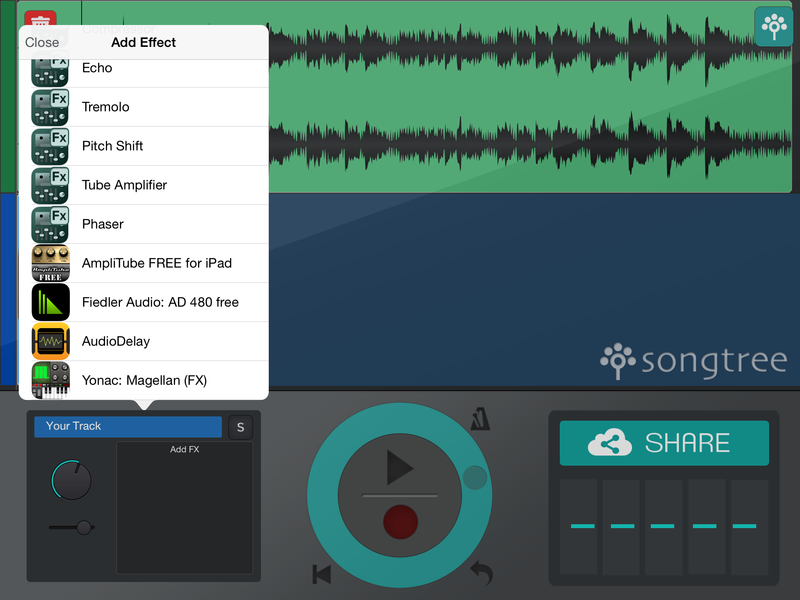 Among the list of included Songtree effects, you will find the apps you have installed that are available for inter-app use. Simply select one to apply it to your recording.